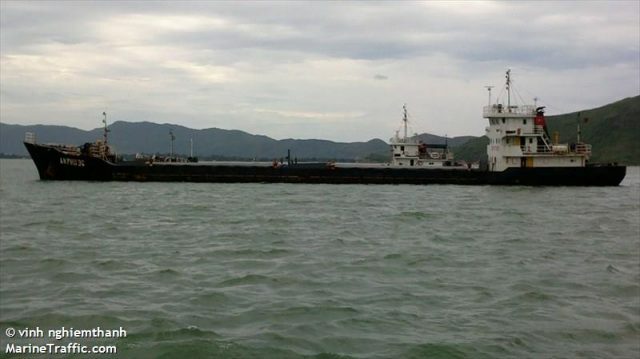 On August 11, the 70 meter long cargo vessel Hai Ha 38 sank in the South China Sea near Da Nang, Vietnam. 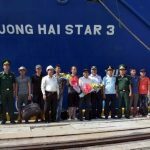 The Hai Ha 38 departed from Quang Ninh to Can Tho with a cargo of 1600 tons of bricks. The Hai Ha 38 proceeded into strong winds caused by a nearby tropical depression when it suffered a cargo shift. 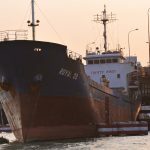 The cargo of bricks shifted and the cargo vessel developed a 40 degrees list to starboard. With the Hai Ha 38 in danger of capsizing and sinking, the crew sent out a distress call and requested assistance. 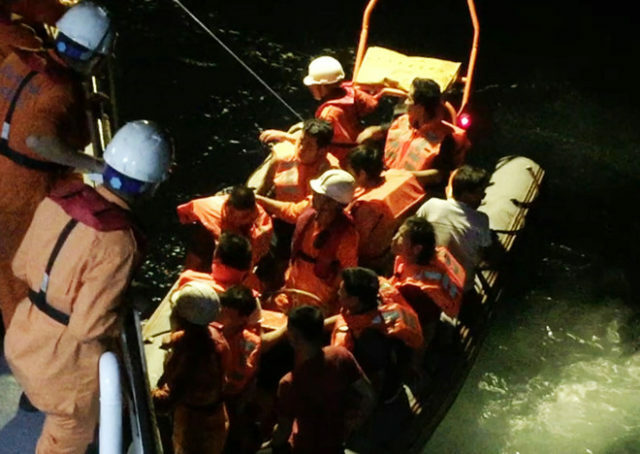 Vietnamese authorities dispatched two search and rescue boats to the scene. Rescuers arrived a short time later and rescued all 11 crew members. One crewman jumped into the sea after panicking, but he was later recovered. No reports of injuries. 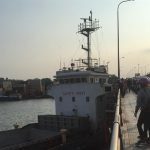 On July 5, the 69 meter long, 1952 dwt cargo vessel An Phu 868 was lost off Vung Tau, Vietnam. The An Phu 868 sailed from An Giang enroute to Hai Phong and Phan Thiet when it struck a shoal. The cargo vessel split-in-two and the cargo holds rapidly filled with water. The crew sent out a distress call and abandoned ship into the vessel’s life raft. Authorities alerted nearby vessels to assist in rescue efforts. 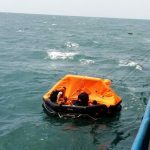 The cargo vessel Truong Hai Star 3 responded and rescued all 9 crew of the An Phu 868. No reports of injuries. 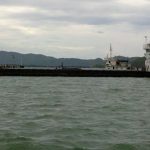 Reports state that the vessel remains on the shoal and a salvage team plans to remove the 10 tons of bunker fuel off the An Phu 868. 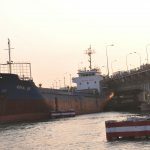 On April 15, the 75 meter long bulk carrier Royal 09 allided with a bridge on the Đồng Nai River in Bien Hoa City, Vietnam. The Royal 09 had been at anchor when a technical fault cause the vessel to break free from its anchor. 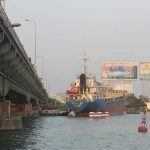 Being pushed by the rising tide and strong winds, the Royal 09 drifted upstream and struck the Đồng Nai Bridge. The bulk carrier became wedged against the bridge until three tugs were able to pull the vessel free. 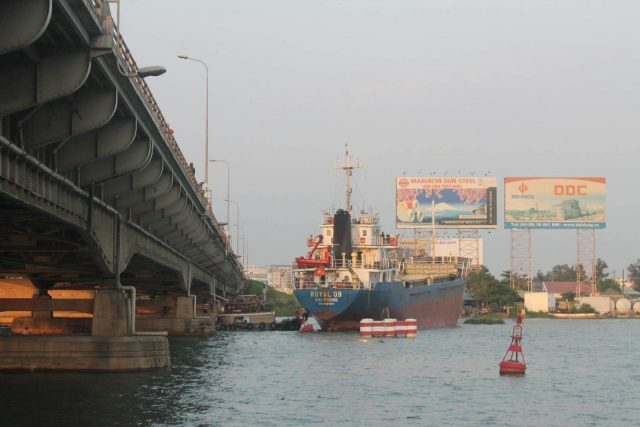 The Đồng Nai Bridge sustained only minor damage and traffic resumed a short time later. No reports of injuries to the 9 crew on board. No further details reported.